In the presence of HE Sheikh Joaan bin Hamad Al-Thani, President of Qatar Olympic Committee and the CSR 2015 Person of the Year, Aspire Zone Foundation was honored by Qatar University for its valuable contributions in this field and for its sponsorship of Qatar CSR Report 2015. 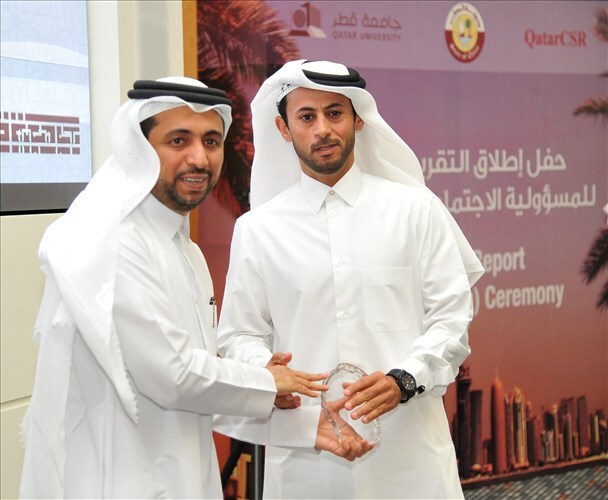 Mr. Mohammad Khalifa Al-Suwaidi, Acting CEO received the award from Dr. Hasan Al Derham, President of Qatar University. Also, Dr. Mohammed Ghaith Al-Kuwari, Aspetar Acting DG and Mr. Abdulla Nasser Al-Naemi, Aspire Logistics DG, have participated in the ceremony. 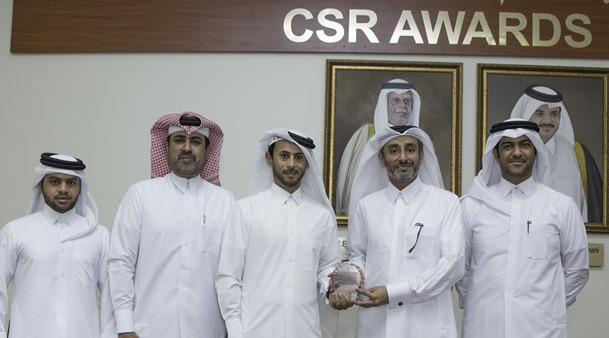 In the presence of HE Sheikh Joaan bin Hamad Al-Thani, President of Qatar Olympic Committee and the CSR 2015 Person of the Year, Aspire Zone Foundation was honored by Qatar University for its valuable contributions in this field and for its sponsorship of Qatar CSR Report 2015.